The AgaMatrix Lancing Device is a universal lancing device, used to draw a sample of blood for use with a blood glucose monitor. The device is adjustable, and can be changed to select the lancet depth of penetration to minimize discomfort. Includes 200 AgaMatrix Ultra-Thin lancets. 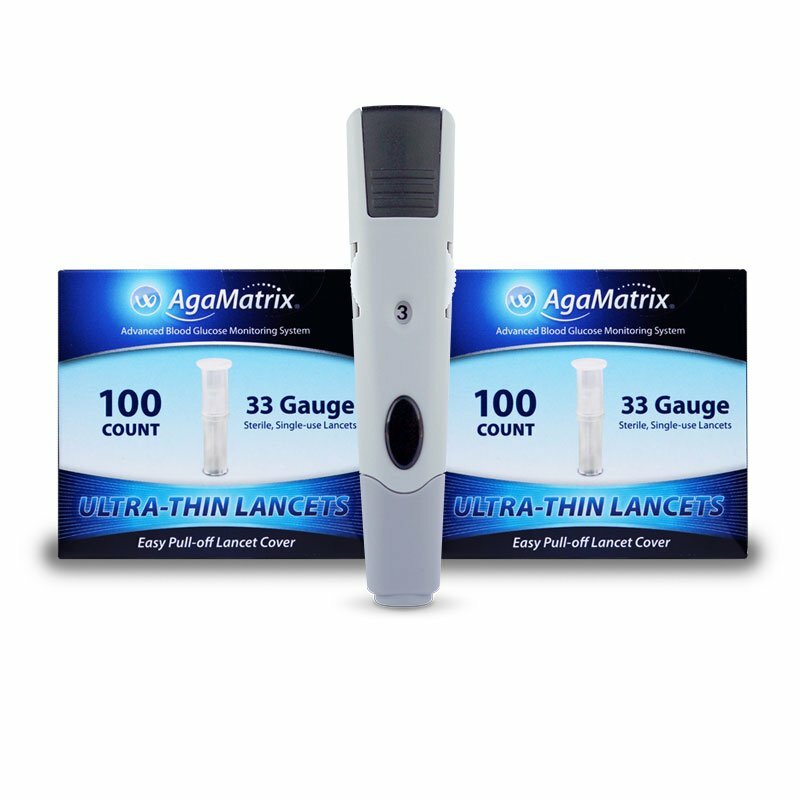 Includes 200 AgaMatrix Ultra-Thin 33 Gauge lancets. These plain looking lancets are the best fitting and easiest lancets to use. They fit the hand tool perfectly and are very easy to insert, easy to remove the cap, they are the correct depth for this tool, and are very easy to recap and remove from the tool. Don't be fooled if they look too plain in the photos. They are also very inexpensive to use. My lancet tool is an old one from a Target tool and meter. I've tried several lancets from other makers and they never fit correctly. Target no longer carries the meter or the tool. I could not get these items from a CVS store. The mail order has super fast delivery and very inexpensive.